Breakin' Convention is back in Canada for the second year running. 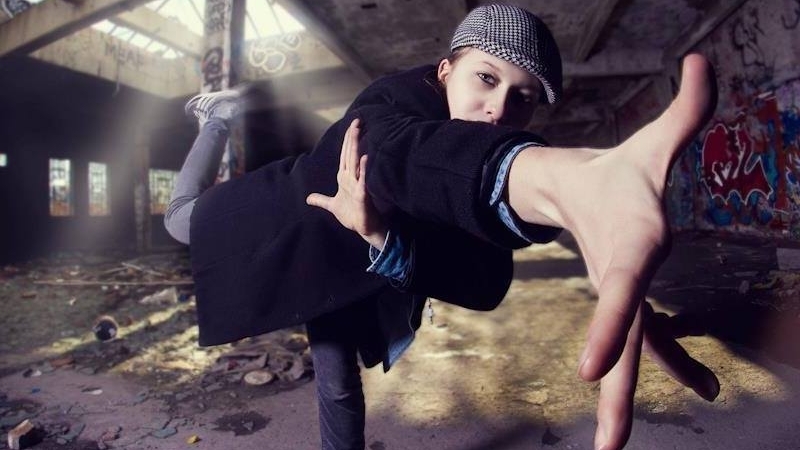 Hosted and curated by UK hip hop theatre pioneer Jonzi D, Breakin' Convention, the awe-inspiring weekend of exceptional performances, from world champion b-boy crews to cutting edge street dance companies, showcases the best in hip hop dance theatre from across the globe. There's too much going on to be contained on stage. Find dance workshops, graffiti, MCs, DJs and impromptu dance circles spilling out all over the building. The Sony Centre is easily accessible by car, the TTC, GO Transit and the UP Express (1 block from Union Station). The Sony Centre is located at 1 Front Street East, Toronto, Ontario M5E 1B2 and is bordered by Yonge Street to the west, Front Street East to the north, Scott Street to the east and The Esplanade to the south. For more information on getting to the Sony Centre, see here. Using the words of a Waring Cuney poem sung by Nina Simone, Images deals with the lack of pride black women suffered throughout history. Historically having fought for equality and civil rights, a new wave of struggle appears today through TV, cinema and entertainment for the current generation: Hypersexualization, denial of natural beauties and a denial of what our SHEroes fought for. How do we value our female heritage? Adrenaline is what pushes you into uncharted territory. Its drive is so strong that it allows you to push the limit of what’s physically possible. It’s the energy from the drums to the breakbeat rhythms making your soul anxious to move. This piece is an exploration of our relationship with adrenaline, filled with acrobatics, risks, music and energy. A mix of cultural background and unique individual styles is what make Femme Fatale an original, powerful female collective. They use their femininity as a strength, their technique as a weapon, and their passion as a power. They want to put their style of dance in the commercial world but mostly be role models for women and inspire the future dance generation all over the world. This intimate, synchronous and fluid duet was one of the most talked about pieces at Breakin' Convention 2014. Within 60 seconds how much energy can move through our sphere? You open your eyes and the potency remains, all you can endure is the backlash of a boundless flow. Time is too slow for those who have to wait but time is too fast for those contemplate. A/V (audio/visual) is a study on the visual representation of sound. This work provides an opportunity to maximize comprehension of music by offering movement as visual support. The dancers are sound, and function to create a multi-sensorial moment where they cannot escape the bond between music and dance. DiverCity visits the multiple cultural lineages that the Now or Never Crew is made up of. Not only does the piece provide insight on the crew’s cultural history, but also represents the attitudes towards multiculturalism and the importance of diversity within communities - values embraced within Canadian culture and hip hop and breakin’ culture worldwide. Bossed Up is about the experiences women have often faced while being assertive in their respective careers or community. 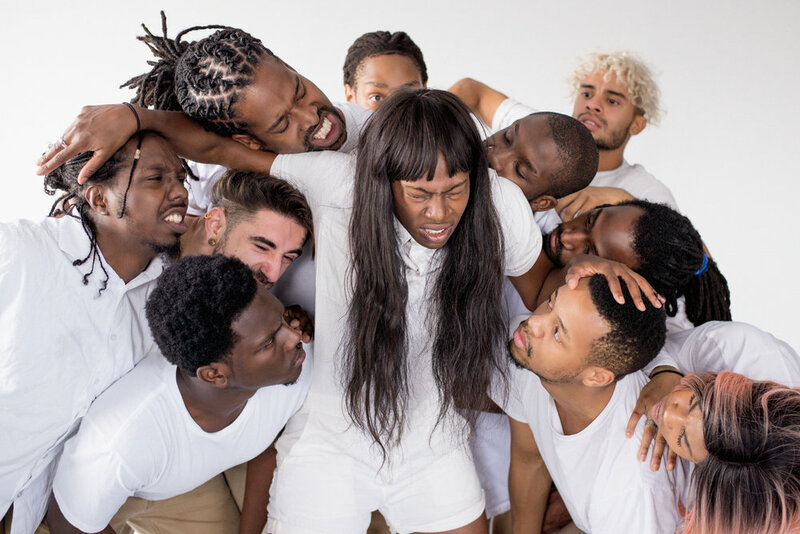 This performance ultimately shows that women are multi-faceted and will continue to persevere to gain respect, love themselves, and enjoy all that makes them who they are. Ör Pür presents a symbolic explanation of the Libra zodiac sign - expressed through rugged characteristics, bold movements and fearless control. Are the powers of the Zodiak part of the imagination, or predestination intertwined with fate? Do we have power over the forces of the Zodiak, or do the forces of the Zodiak define us? 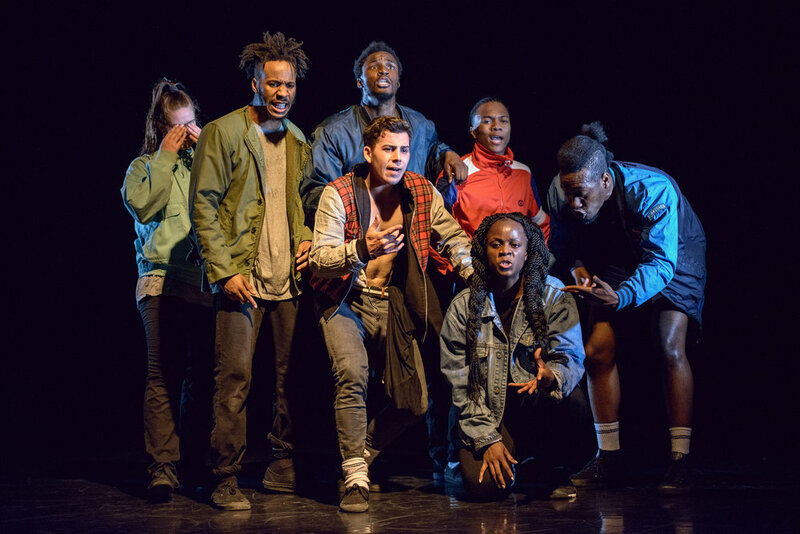 Mad World is a part of Jade’s Hip Hop Academy Performance Company’s Save Our World - It's Not Too Late theatre production aimed at raising awareness about world and social issues through hip hop dance. Mad World is focused on child poverty and youth homelessness through the style of popping, waving and animation. Through sisterhood, healing and resistance, Rebels de la Soul honour the angels who surround and guide us. This performance is the divine dialogue embodying the process of our spiritual wings in flight as humans, dancing underneath our ancient loved ones who are passing over. Simply Swagg’s Mini Militia show the contrast between today's modern gimmick dances and classic authentic hip hop dance from the golden era of letting go and turning it loose. Take a workshop with the artists you see on stage! All workshops are free, though require registration through EventBright. Click the book button to register for that workshop. Time: 12:00pm - 1:30pm, Class includes a 15 minute Q&A with the artist. Class Description: The Ruggeds are known for their originality, creativity and musicality. These are the main aspects they are focusing on in this workshop. 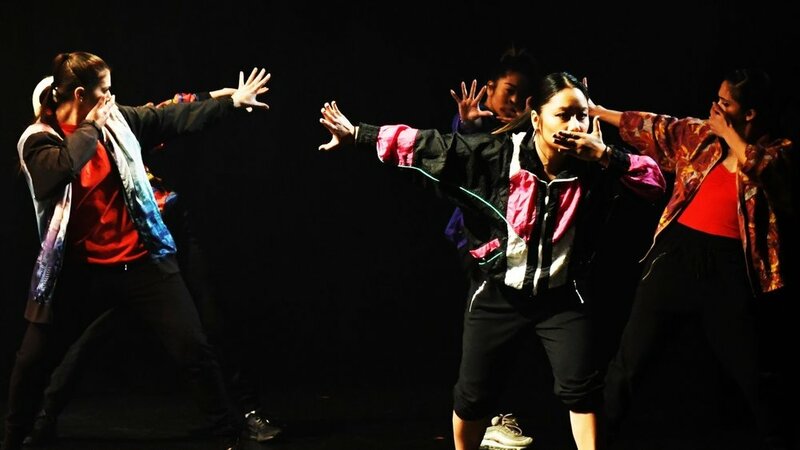 Come and join this workshop with the Ruggeds exploring their take on breaking! Class capacity is 30 participants. 10 spots are being reserved for drop-in participants. Please arrive early to sign-in. Late comers will not be allowed entrance. Time: 1:30pm - 3:00pm, Class includes a 15 minute Q&A with the artist. Class Description: Antoinette with teach a house class which draws on African dance styles and steps. An energetic class, be prepared to sweat! Class capacity is 40 participants. 15 spots are being reserved for drop-in participants. Please arrive early to sign-in. Late comers will not be allowed entrance. Time: 3:00pm - 4:30pm, Class includes a 15 minute Q&A with the artist. Class Description: A Canada first! A rare opportunity to learn popping from the world-class Marie Poppins and Dassy Lee from the sassy Femme Fatale crew. Entrance: Yonge Street Entrance (located along Yonge Street on the west side of the building halfway between Front St. and Esplanade). Community classes are accessible via the Yonge Street Entrance and not the main Front Street Entrance, unless otherwise specified on the Eventbrite page. Doors: Doors open at 15 minutes before class starts. Please arrive early to change and sign in so class can begin promptly. Late comers will not be allowed entrance.